Fish also poop. A lot. That’s one of the reasons you have to clean out the fish bowl at home. In the ocean, fish excretion actually helps keep coastal ecosystems healthy by fertilizing the coral. White sand beaches or parrotfish poop? 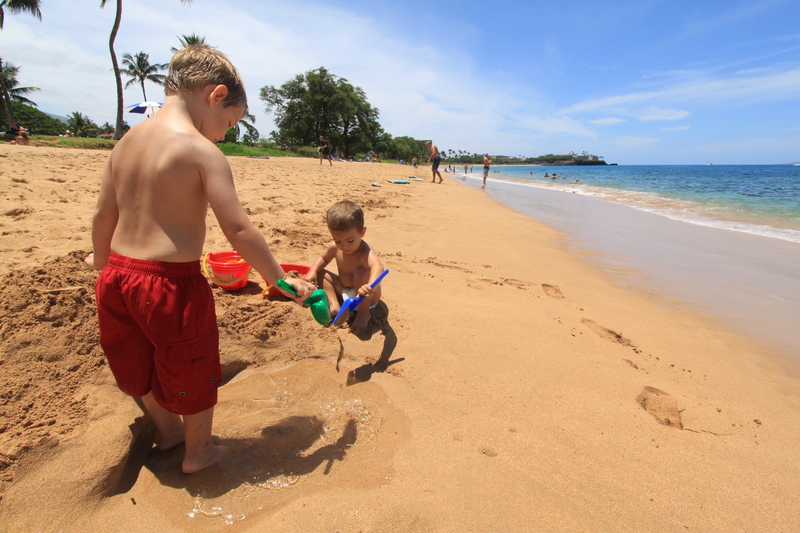 The next time you’re lucky enough to be on a sandy white beach in Hawaii, the Caribbean, or any beach near coral reefs, you can tell your kid they’re building sand castles out of fish poo. They can thank the parrotfish for all that poo, (ahem, “white sand”) that ends up in their sandals, stuck on their beachside ice cream cone, and in their hair. Parrotfish are abundant in the tropical reefs of the Atlantic, Caribbean, Indian and Pacific Oceans. 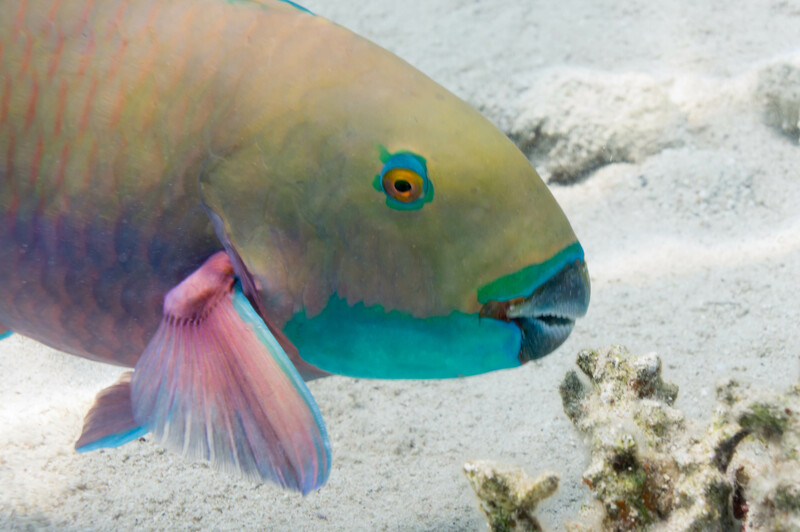 They are called parrotfish not because of their bright colours, which many of them have, but because of sharp beak-like teeth. When these teeth scrape the algae off the coral reef, chunks of the reef come, too. They digest the algae. As the coral passes through their body, it’s ground up into the fine white sediment that they poop out. It washes to the shore, then we pay a lot of money to fly to tropical beaches and lie in it. One fish can produce up to 200 lb. of poop-sand a year. That’s about the equivalent of your kid and their three best friends put together (depending of course on the size of your pint-size interrogator). 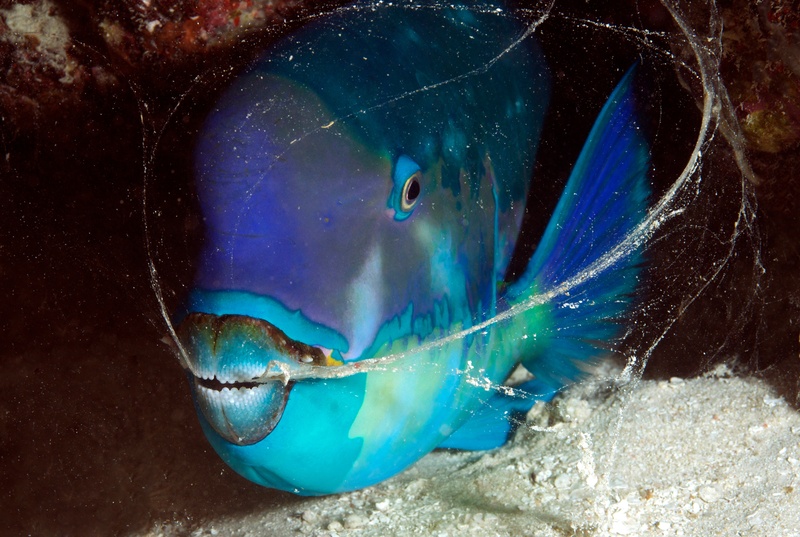 Fun fact: When some parrotfish go to sleep, they wear pajamas made out of snot. Yes, fish sleep. When they do,they secrete enough mucus to wrap themselves up in a mucus cocoon for the night. Scientists think these “snot pajamas” protect the parrotfish from parasites and predators. Indicator Species: How are animals selected to tell us about our waterbodies? Spring is a great time to reconnect with our favourite beaches and swimming spots. And humans aren’t the only ones flocking back to the coast. This time of year is a particularly popular time for our extensive shorelines as wildlife is on the move (and in the mood).